This case is 3 1/2" wide. Bows with sights attached will not fit in this case. 2" Length x 13 1/4" Height x 3 1/2" Width makes the Gold Ring case the smallest, easiest to handle hard case available. Two Gold Ring cases will easily fit inside most cases designed for modern compound hunting bows, with room to spare. 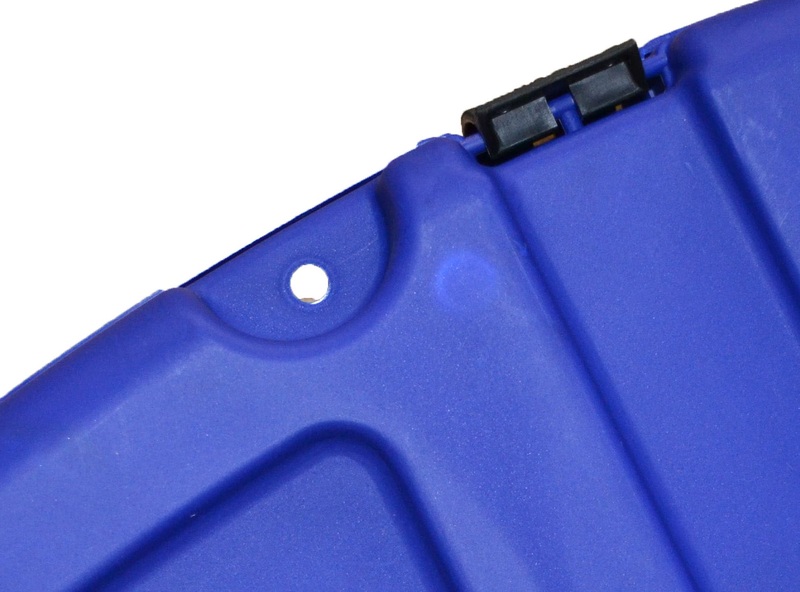 Simple and durable latches keep the case secure, but are a snap to open and close. Just flip them up to open and press on the flag to close. 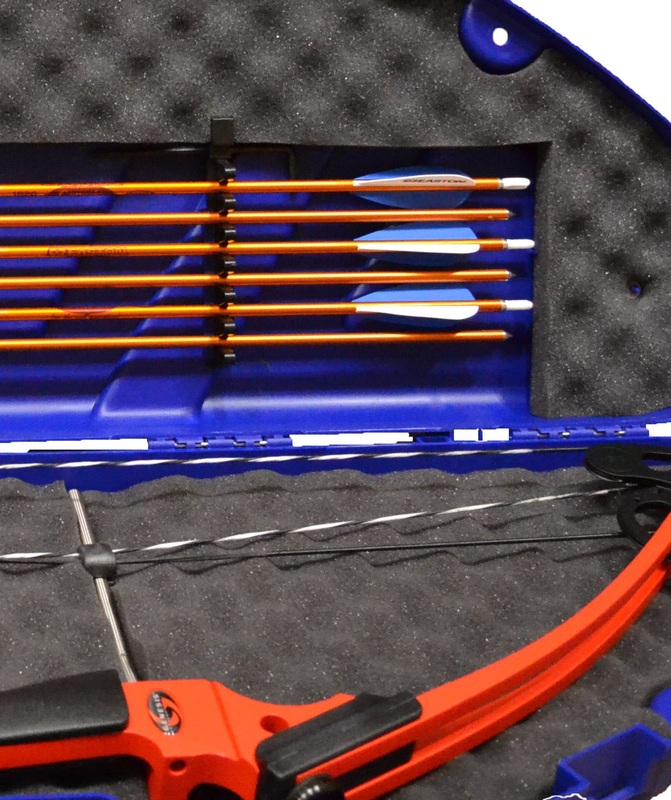 Holders designed specifically for the Genesis 1820 Arrow shafts keep your arrows safe and organized, while loading and unloading easily, without excessive pressure. The arrow holders are ready to use. Nothing to assemble. 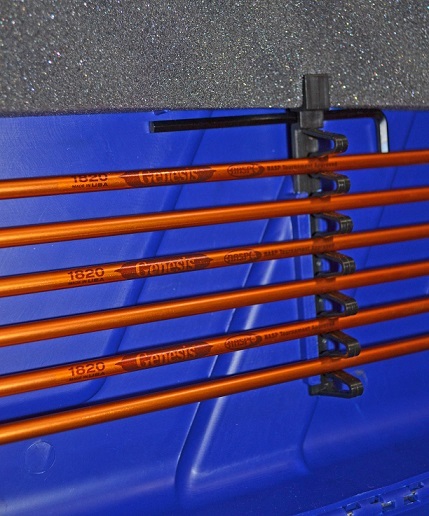 There is also a convenient holder to store your limb bolt wrench at Holders designed specifically for the Genesis the top of each arrow holder. Two lock tabs are provided for extra protection. When loading your bow onto a team bus or van, wire ties or even small pad locks placed through the lock tabs, are a great way to make sure your case is secure and un-tampered with until you're ready to shoot. 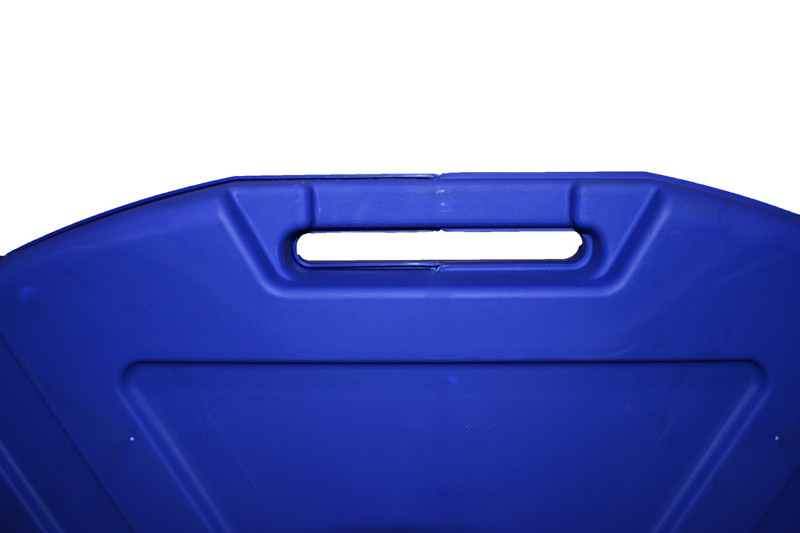 Unlike some cases which have a single wimpy thin flat foam sheet, egg crate foam liners in both top and bottom conform to your bow, keeping it safe from unexpected snags, and impacts. There is no need for tie down straps like those found on cheaper generic cases.